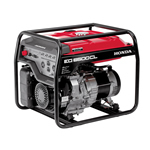 Honda’s economy generators are a reliable source of “no frills” power. 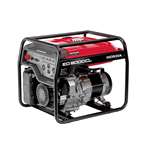 These models are all equipped with Oil Alert® and a protective frame with isolation mounts for added durability. 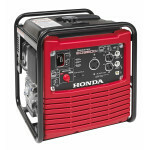 The EG4000, EG5000 and EG6500 are new models with features including the Honda Digital Auto Voltage Regulator (DAVR) that maintains voltage stability within a +/- 1% of 60hZ, thus protecting and optimizing the equipment being powered, a large 6.3 gallon fuel tank and centralized controls for ease of use. 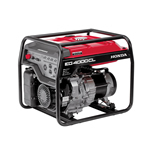 It’s a lineup that delivers the best of both worlds, reliability and cost savings. Lightweight & portable – less than 67 lbs. © 2019 Fleet Electric | Fleet Gold® is a registered trademark of Fleet Electrical Service, Inc. | Web Site Design and Hosting by Ashdown Technologies.